With more than 28 years of culinary experience in both traditional Japanese and classic French restaurants, Tokyo-born chef and partner Fuyuhiko Ito leads the culinary team at Umi, a new sushi concept located in Atlanta’s bustling Buckhead neighborhood. Umi embraces Ito’s heritage along with his unwavering passion for high quality ingredients and offers a diverse menu with international influences and both classic and progressive approaches to Asian fare. Ito began his restaurant career at the age of 17 at Chateau Lion in Tokyo where he handled fresh fish from the Tsukiji Fish Market daily. Over the next several years, Ito worked under master chef Kono in the United States and a top Yakitori chef at Toriyoshi in Nishiazabu, Tokyo. 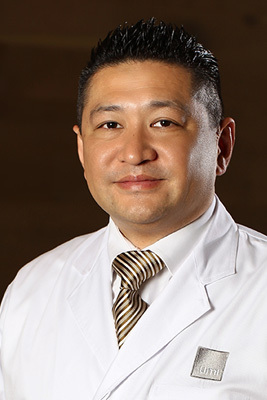 From 2007 to 2012, Ito served as executive chef of MF Buckhead in Atlanta where his cuisine earned a five-star rating in the Atlanta Journal-Constitution. Throughout his culinary profession, Ito developed a great passion for his knives. Each day, he carefully fine tunes each to maintain its maximum performance by using at least three different grit sharpening stones. In addition, Ito only uses non-oxidizing knives enabling him to avoid oxidation while cutting the finest sushi ingredients, creating a new standard in sushi cuisine. On his first day at MF Buckhead, Ito met his wife and Umi pastry chef, Lisa Ito. The couple now lives together in Roswell, Ga., with their six children. Pastry chef Lisa Matsuoka Ito presents a dynamic dessert menu at Buckhead’s newest sushi destination, Umi. 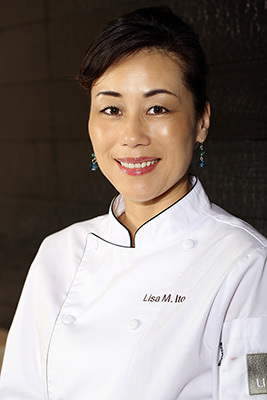 With classic French training and an adoration of chocolate works, Lisa marries modern flavors with her Japanese heritage to create beautiful pastry and dessert presentations. A Tokyo native and youngest of three daughters, Lisa grew up helping her mother in the kitchen. Fascinated by baking and cooking, Lisa immediately developed a passion for the culinary arts, but never imagined pursuing this dream as a career coming from a family of all doctors. At the age of 20, Lisa moved to the United States to attend college in Lake Forest, IL, where she obtained a Bachelor’s degree in sociology. She then decided to follow her passion and enrolled in the Culinary Institute of America. After graduation and an externship at 103 West in Atlanta, Lisa started her career as a pastry assistant at Gotham Bar and Grill in New York followed by an apprenticeship under the great master pastry chef Francois Payard at Le Bernadin. Lisa then moved to Atlanta to work as a pastry assistant at Resto de Amis. In X, Lisa moved back to New York to raise her four children and start her own business called “Peace of Cake” in which she taught American cooking in her home to fellow Japanese residents. Lisa later moved back to Atlanta with the position as pastry chef at MF Buckhead. While working at the beloved Atlanta restaurant, Lisa met her husband, Umi executive chef Fuyuhiko Ito, and also gained skills in knife work and floor management.